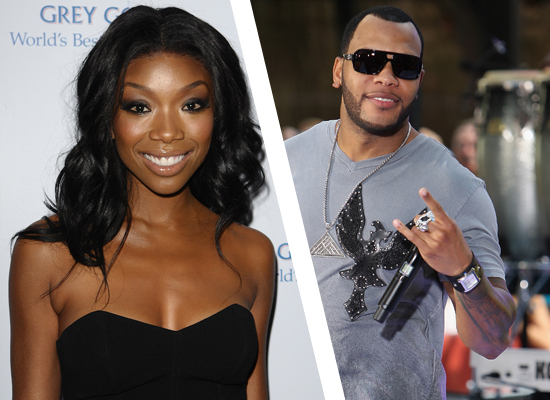 Rumored Couple Alert: Brandy and Flo Rida? 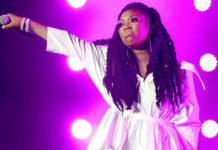 Sources say R&B singer Brandy and rapper Flo Rida were reportedly spotted getting extra cozy with each other at a nightclub in Las Vegas last Thursday (Jan 28). And apparently that’s not the first time the two were seen out together. On January 28, she got cozy with rap superstar Flo Rida at Haze Nightclub at Aria Resort & Casino in Las Vegas. “The two arrived together holding hands and having an intimate conversation,” an onlooker tells In Touch. “They are definitely hooking up.” And that’s not the first time the musical duo were together. They hung out at the Y100 concert in Ft. Lauderdale, Fla., in December. 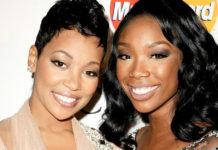 And at the Universal Motown Republic Group Grammy bash at the W Los Angeles on January 31, Brandy made sure to stay away from other men and hung out with her pal, singer Kelly Rowland, instead. Brandy only has eyes for Flo Rida. 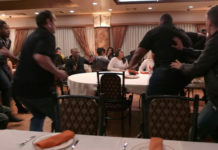 “Guys tried to hit on Brandy and she ignored them,” says an onlooker at the Grey Goose-sponsored event on January 31. Brandy and Flo Rida? That’s a pretty awkward pair, don’t you think?